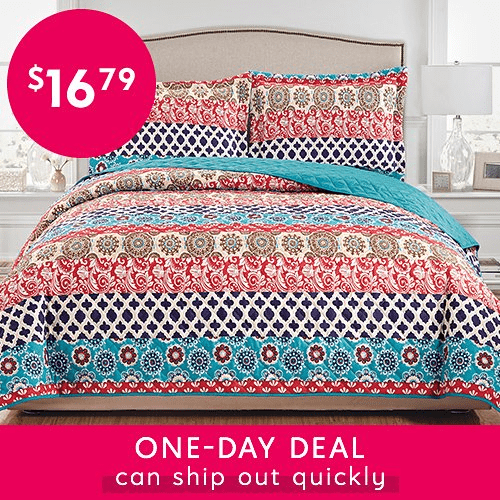 3-Piece Printed Quilt Set $16.79! These are cute! Today only, Zulily has 3-Piece Printed Quilt Set for $16.79. They have a few different ones to choose from too. They range in sizes from Twin to King depending on the print you select.